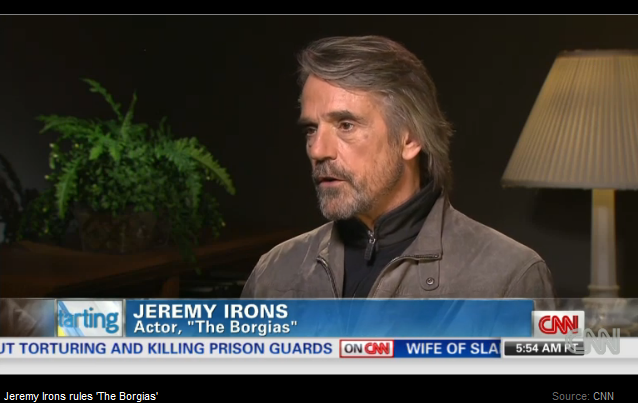 On Thursday, April 4, 2013, Jeremy Irons was interviewed on CNN Starting Point with John Berman and Brooke Baldwin. Jeremy discusses his role in The Borgias and the upcoming season 3 premiere on April 14, 2013 on Showtime. Click on the photo below to watch the interview.